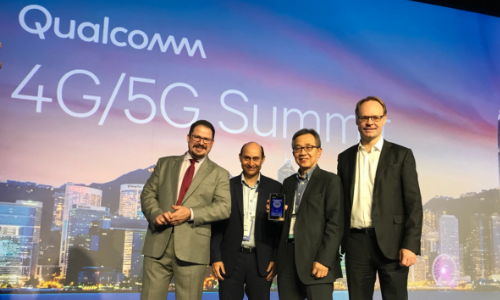 SmarTone, Qualcomm Technologies and Ericsson joined hands to showcase the power of 5G data connectivity in Hong Kong during the Qualcomm 4G/5G Summit. The companies have demonstrated a 5G connection on a Qualcomm Technologies’ smartphone form factor device based on the latest 5G NSA (Non-standalone) mode in the 3GPP Release 15, powered by SmarTone’s network and Ericsson’s 5G mobile network infrastructure. The 5G smart terminal and mobile network operates on the 28 GHz band, one of the mmWave bands expected to be available in Hong Kong in April 2019. The 5G standard in 3GPP Release 15 was finalised at the end 2017, and commercialisation of the 5G network equipment and smartphone is expected in early 2019. SmarTone recently has launched Hong Kong’s first live commercial License Assisted Access (LAA) network, which laid the ground for enhanced network performance on path towards 5G. DDB has put up a cheeky open letter looking for a planner who can replace Tang and Johnson and grow into a single head of planning..
MHA launched a public tender on Gebiz looking for an agency to provide consultancy services for a corporate communications strateg..
YouTube’s troubles with algorithmic content for (and by) kids continues to intensify, with companies like Adidas, Cadbury, and Dia..